NATURAL HABITAT AND PREFERRED SITE: Native to southern Europe and western Asia but has become naturalized in northeast and central Texas especially in moist soil areas. IDENTIFICATION INFORMATION: Small tree that is either single- trunked or multi-stemmed, wide spreading crown, usually crooked or leaning trunks, long lasting summer color from white or purple flowers. FLOWERS AND FRUIT: Purple or white flowers in the early summer and yellow fall color. Flowers form in the late spring but may continue sporadically throughout the summer. They are terminal spikes up to 7 inches long in blue, purple and white and sometimes even pink. Fruit matures in the fall as upright, terminal, round, woody, brown to black droops about 1/8-1/6 inch wide with a four-celled stone. They are strongly scented like the leaves. BARK: Thin, smooth, and light gray when young but fissured and darker gray with age. FOLIAGE: Leaves are compound, 3 to 9 leaflets, fragrant when crushed. 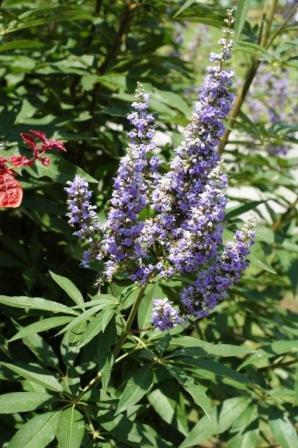 CULTURE: Vitex is easy to grow in most well-drained soils and is drought tolerant. PROBLEMS: The only thing I’ve seen is freeze damage in the northern part of the state. Sometimes dead wood needs to be trimmed out. This can be alleviated to a great extent by using the organic program and the Sick Tree Treatment for trees in stress. PROPAGATION: Pick the dry fruit in the fall and clean by maceration and floating the hulls away. Treat to break dormancy by stratification in moist sand, soil or peat at 41 degrees for 90 days. 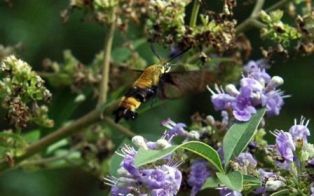 Vitex can also be grown from layers and greenwood cuttings kept humid or under mist. INSIGHT: Fruits have been used as a peppery substitute. White flowering vitex has been considered a form of chastity. According to Texas Trees by Paul W. Cox and Patty Leslie, an oil can be made from the seeds to provide sedative properties. A tea made from the leaves is said to have anti-aphrodisiac properties and reportedly used by the monk’s to help them remain chaste. The leaves can be used to spice foods and a perfume is made from the flowers. 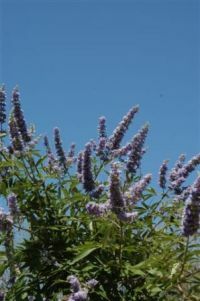 Vitex should not be used as a primary tree on landscape projects, farm or ranch but certainly should be used as a colorful and interesting secondary tree.